Story: If a lion makes himself dapper by putting on a coat and a hat and carries an umbrella while skipping down the street singing, "Hoobie-doobie-do," should you invite him in? A brother and sister face this challenge when a seemingly friendly lion comes calling. 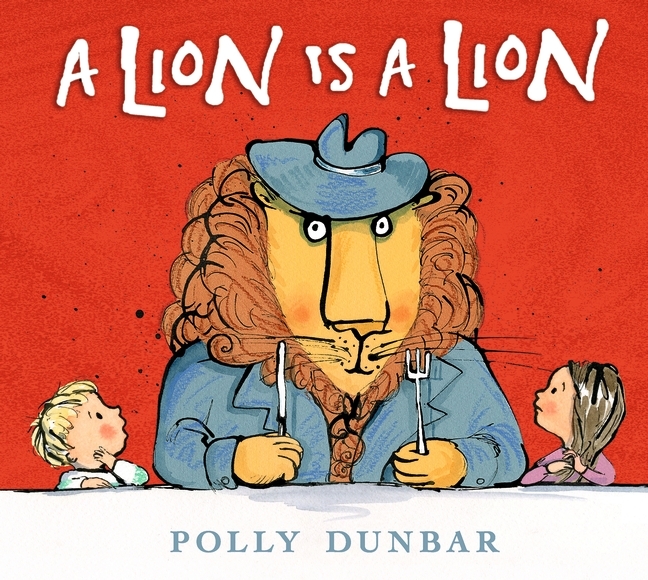 Dunbar's gently rhyming text carries the story along as the siblings entertain and enjoy the lion - until they learn that . . . a lion really is a lion. Pictures: I absolutely adore Dunbar's illustration style and have reviewed three other books illustrated, and often written, by her. 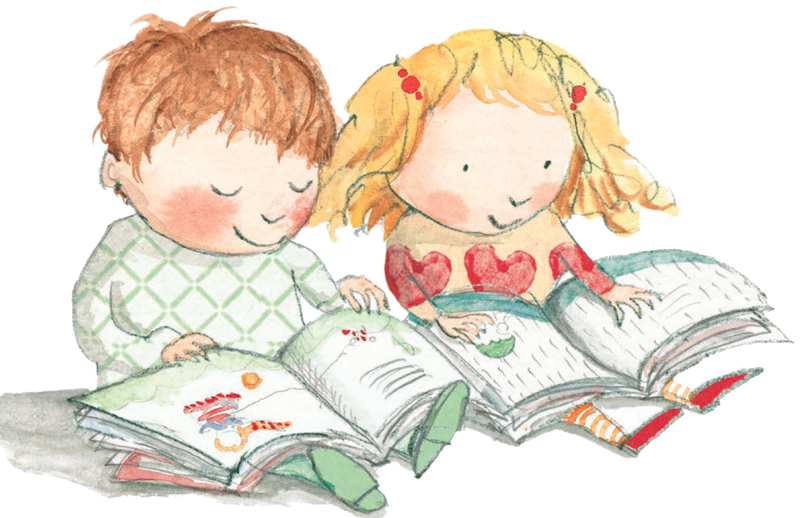 Her illustrations of children have a sweetness to them that feels a bit British-y (maybe it's the stripped tights) and wonderful expressiveness, despite the black dots for eyes. Dunbar's animals are also filled with energy and emotion and playfulness, even when roaring. Why Read? Why Buy? : Read A Lion is a Lion because it's just plain fun. Little listeners will be delighted by the story and the building tension. And they will definitely love it when the tables turn and the siblings tell the lion, "No!" and get him to behave - and leave. Buy this book if your have or work with preschool age children or younger, or are a fan of marvelously illustrated picture books.